Yep, today if your visiting there's something special going on. 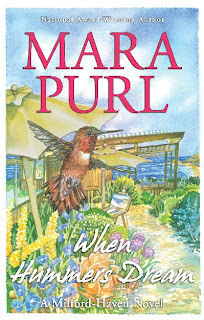 If you follow my other Blog Works In Progress you know I featured Mara Purl there a few weeks ago. I discovered such unique and wonderful things about her that I decided to shared what I didn't have room for there. 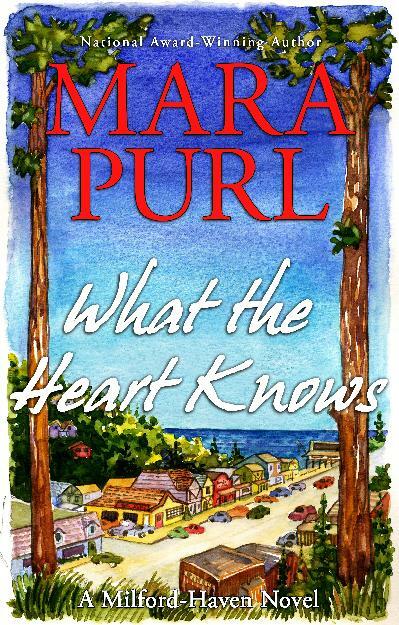 Mara Purl is an actress, an author, a song writer and more. 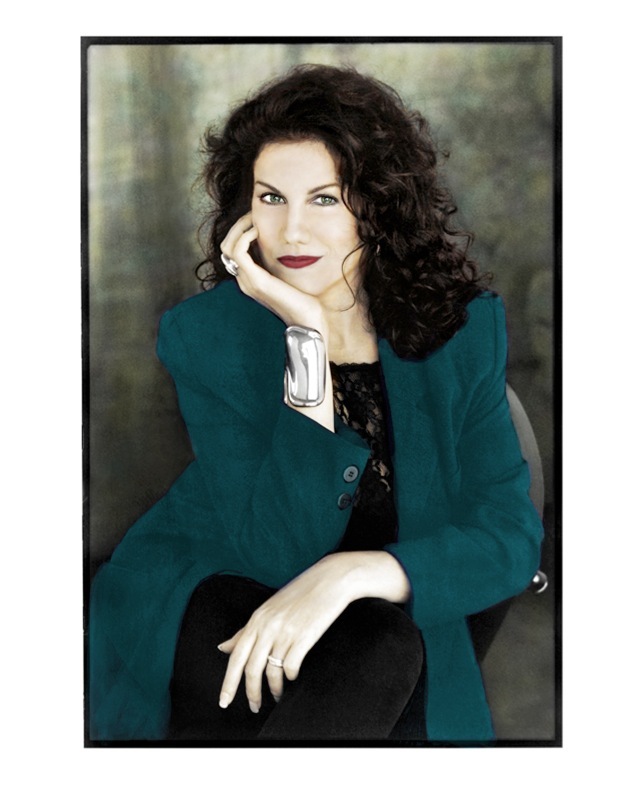 I found she is one of those woman who has the talent to accomplish to perfection anything she decides to do. Here's sneak peek. You can just feel the tension and the promise of surprises to come. an ear, he continued to listen as Samantha droned on. “Wh . . . what will soon—” Sam sputtered. felt better than anything had in a long time. He stared a long moment out the mud-streaked windows. 1. Why did Milford-Haven come into existence? In the entertainment business, there are people known as “hyphenates”—people who are writer-directors, or actor-producers. Well, I knew for a long time I was an actor-writer. I’d been doing both acting and writing since early childhood and all the way through school. I also performed on a television series from ages 9 through 12. As I entered adulthood, well-meaning people often advised me to let go of one or the other—the acting or the writing, but I needed both. Everything came together for me when I also became a producer. Two specific things led up to that moment. One was performing a regular role on “Days Of Our Lives,” because I got intrigued with the long form of story telling. In soaps, the story structure is ongoing, and though it’s much more difficult to sustain, it allows for a complexity and for revealing a series of choices and consequences. I found that intriguing. The other inspiration for my own soap was an invitation from a lovely gentleman who owned a radio station. I spent a summer performing in a two-character play in the town of Cambria, California. This man and his wife came backstage to compliment me and my co-star, and he said, “If you ever want to do something for radio, let me know!” A few months later I called and asked whether he’d be interested in broadcasting a radio soap opera, and he loved the idea. So I began writing scripts and sending them to him. Eventually I found my cast (many from other soaps), found a studio home, and began producing episodes. That’s how my show “Milford-Haven” was born. And after it was a success in a few American markets, it was picked up by the BBC, where it went on to find 4.5 million listeners throughout the U.K.
2. When did the idea to make these novels more than the usual read, close book and move on to the next book? Since my novels are based on a serial radio drama, I knew from the start there would need to be several books. I also knew my story is character-driven, and that writing this particular story as a series of books was a perfect way of showing character development from choice to choice, event to event. One of my favorite writers is Charles Dickens. When my sister and I were children, my dad wrote a dramatic adaptation of A Christmas Carol and the whole family performed in the play, with Pere (what we call our dad) playing “Scrooge.” Later I got interested in Dickens other works, and read about his life. He wrote his long novels in installments, which he performed as public readings, and published in magazine format. Later, when the story was complete, the segments were gathered to become whole books. He was probably the first famous serial novelist, and I think in terms of structure, I’m following in his footsteps. Interestingly, at Book Expo America a couple of years ago Jeff Bozos, CEO of amazon.com, gave a talk in which he said the new technologies lend themselves to serial novels, and that he expected writers might follow Charles Dickens example. I was in the audience and piped up, “I’m already doing it!” A lot of heads whipped around to see who’d said that! 3. Twelve books take a lot of energy and stamina. Is there someone special who has worked with you on the project? Yes, stamina is one thing required. Another is a series of documents that accurately track a myriad of details, like: who drives what kind of car; when did Miranda paint which painting; what was the bad guy doing before we first saw him; what color are Zelda’s bedroom walls. . . .
And oh, my, yes, I most certainly have help. I have two close associates who are both additional “memory banks”. For the radio drama, it’s Bill Berkuta, my engineer. We worked together on 100 episodes of Milford-Haven U.S.A., and through the many hours it takes to edit and do post-production for each episode, we heard story details hundreds of times. Now Bill and I work together to create the audio books of the novels. So I can call Bill and we’ll be able to remind one another of important details. For the novels, it’s Vicki Werkley, my brilliant editor. Vicki and I worked together all the way through the early editions of the first five novels, and her commitment to my series is a solid gold element in the whole project. She has both a logical and an intuitive sense of what’s right or wrong in terms of character, story detail, sequencing, and theme. We’re so excited to be working on the new novels now. We keep saying “This is how the novels are meant to be!” There’s a tremendous sense of fulfillment and satisfaction. 4. And before I ask the real big question. What do you want women to keep remembering long after they have put your book away on their selves? I want them to remember how important they are, and how valid their intuitions are. The theme of the book is the heart—are we listening to it? Does it have anything valuable to tell us? Can it offer important guidance? I believe that in our busy world we honor mostly the head—that is, logic and “smarts”. I’m all in favor of being smart! But consciousness is more than just logic. It also includes intuition, which is what I mean by the heart. I’d love for a reader to ask herself—what is it, in my heart of hearts, that I always wanted to do? Am I doing it? If not, why not? And if not now, when? How does the book instigate these questions? Well, readers can have a very interesting journey by tracking each character’s “heart” journey. Is Miranda listening to her heart? (She’s just beginning to take it seriously. How does that alter her course?) Is Jack listening to his heart? (No, he’s stuffing down his feelings as though he were driving spikes into packed earth.) What about Chris Christian, the journalist who gets in trouble at the very beginning of the story? 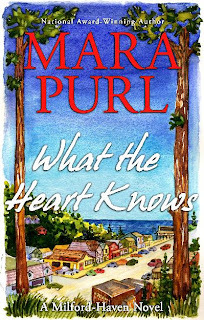 Readers can enjoy a first read of What the Heart Knows by just having fun moving through the story and its interconnected plot lines. But they might also enjoy digging deeper into the lives of the characters . . . and perhaps into their own lives too. 5. Someone mentioned a surprise give away. What do you have in mind for us? It will be my pleasure to give an autographed copy of my new novel as soon as it’s published! 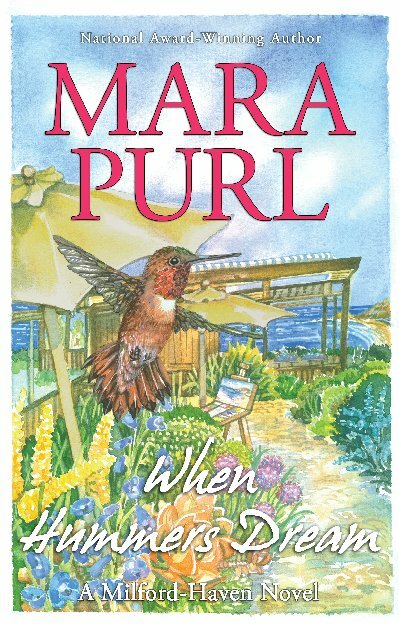 To enter leave a comment AND then email me at bettycarlton1@gmail.com in Re: put Mara Purl Drawing. In the body tell me your posted comment. That's it. 6. And now the biggie. When will you be in North Carolina to promote your book? Well, if that’s an invitation, I accept! My marketing team and I arrange special Author Tea events. So your group would choose one of our event names: Possibili-Tea, Generosi-Tea, Connective-Tea . . . you choose a theme that matches your interests. Then we get together, enjoy some terrific food and have a real Girlfriend conversation. There’s a Reading Group Guide for What the Heart Knows on the publisher’s website and also at www.ReadingGroupChoices.com. These are great for providing a starting point for discussion. I'd like to thank, Mara for letting me be part of her Blog Tour to spread the word about her work. To my guest readers, did you see the freebe Mara is giving out the month of August? If you missed there is a free read offer in the blog.